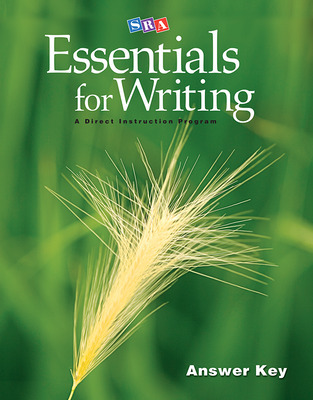 SRA Essentials for Writing is specifically designed to help middle/high school students write with clarity, purpose, and care. 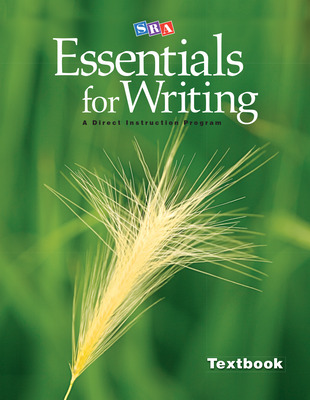 Systematic, explicit instruction and daily writing assignments ensure that students focus and structure their thinking, as well as learn strategies for accomplishing specific types of writing tasks. Appropriately scaffolded lessons prepare students to produce work that contains well-developed and pertinent ideas, supporting examples, and appropriate detail. Lessons target the skills, strategies, and knowledge students need to be successful on high-stakes tests. Outline diagrams set specific goals to help students focus on particular aspects of their writing. Grammar, language use, and mechanics are woven throughout the program to provide long-term benefits to students’ writing abilities. 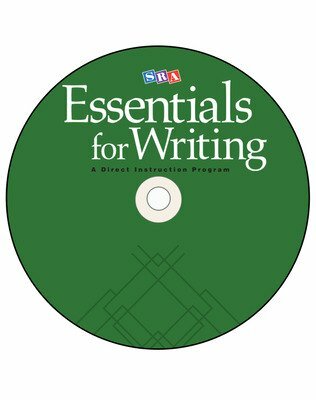 The SRA Essentials for Writing program is designed for students in middle and high school who are at risk of failing to meet graduation requirements in English language arts. When used with students in ninth grade or earlier, the program helps prevent failure on high school exit exams, or it can be used with high school students who have already failed the high school exit exam. 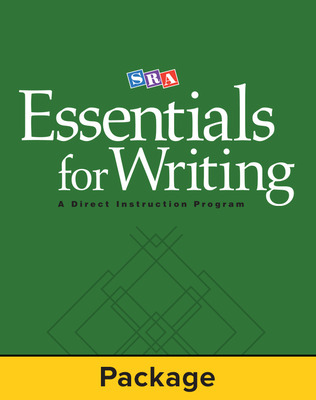 SRA Essentials for Writing differs from traditional approaches in the process of program development and field tests, in its instructional design and scripted presentations, and in the language it uses to communicate with students. The program has been shaped through extensive field tests and revised based on problems students and teachers encountered. The program teaches prerequisite sentence-writing and grammar skills that are essential for learning to write in addition to complex writing behaviors needed to pass high school exit examinations in many states. 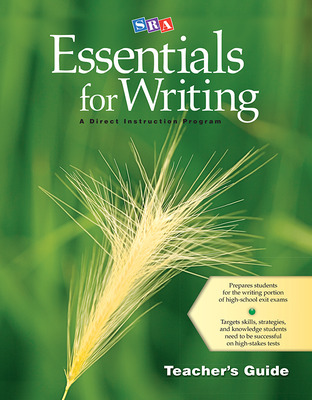 Essentials for Writing is not a “test prep” program, but it is designed to build the set of competencies that are expected of high school students and commonly measured on exit exams.